It’s soon the beginning of something new… and the end of something old! I’m soon leaving for Romania and I’m so nervous! But I’m also really excited, because I can’t wait to experience something completely different than what I’m used to in my daily life. I want to do something amazing with my life… I feel like that’s the best for my heart and soul at the moment. I just want to do something special and useful and not spend anymore hours in my room daydreaming about what could be better in my life!! Putting yourself in situations that are unknown, but thrilling, is so great. 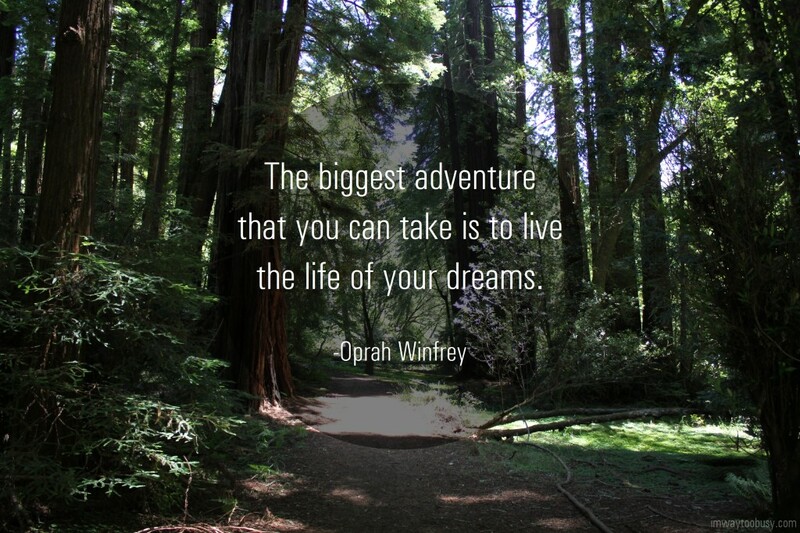 There’s a quote by Oprah Winfrey that I LOVE! I feel so inspired and motivated whenever I see this quote. That’s why I’ve chosen it to be my new banner on my Facebook profile page. What I’ve learned over the past months is to follow my heart and my dreams… (Personally, I feel like that’s the most important in the world- at least for me.) I know it might sound really cliché, but it’s true! And once you realize that, you will feel much more in control of your destiny and your life! -What makes you motivated and inspired? This entry was posted on Wednesday, August 20th, 2014 at 9:29 pm	and tagged with dreams, experiences and posted in personal thoughts. You can follow any responses to this entry through the RSS 2.0 feed.